A stunning golf course, bordered by Lake Weyba, everything is catered for onsite: ceremony sites, elegant reception rooms, scenic photographic locations, accommodation. It's no wonder so many couples choose Noosa Springs Golf and Spa Resort for their wedding – there’s simply no better venue on the Sunshine Coast. Whether it’s an intimate gathering for family and close friends, or an extravaganza as big as your love for each other, Noosa Springs is the perfect place for the biggest day of your life. Firstly, it’s a beautiful – and convenient - destination. Noosa Springs is set amidst tropical bushland, with outstanding views over the golf course towards Lake Weyba. And it’s only a few minutes from Hastings St, the national park and Noosa’s famous beaches. Then there’s the convenience. Everything – the ceremony, reception and guest accommodation – is at hand. You can even host your hens’ party at Noosa Springs’ world-class spa, or your bucks’ party on the golf course. Best of all though is Noosa Spring’s helpful, friendly staff who take as much satisfaction from arranging a successful, happy wedding as the bride and groom themselves. They know it’s your big day, but that doesn’t mean you couldn’t do with a little help. Noosa Springs’ events staff have been helping plan and deliver great weddings for years. They allow you to relax, unwind and enjoy the event. 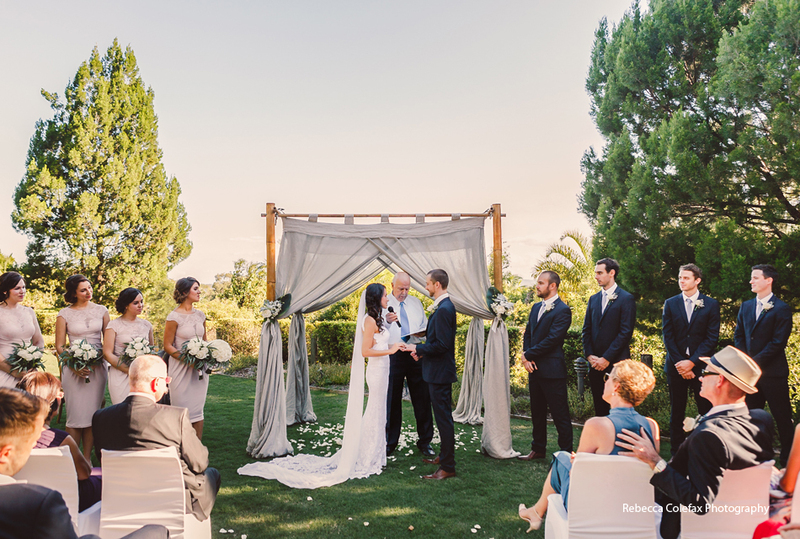 Because it’s both an indoor and outdoor venue, Noosa Springs offers a wide choice of locations for your wedding ceremony. There are function rooms capable of hosting ceremonies of all sizes, or you might prefer a ceremony overlooking the golf course, or a more intimate setting in the bushland, perhaps near the shores of Lake Weyba. Noosa Springs is suitable in any type of weather and we even have a popular wet-weather wedding venue option. The function rooms can contract and expand to accommodate a reception of any size, and Noosa Springs’ expert chefs will work with you to present a menu that your guests will long remember. Because it’s such a beautiful place, Noosa Springs offers a choice of great locations for your wedding photos – the golf course itself, by the lake; and you can easily access these sites in Noosa Springs’ fleet of golf carts. When the ceremony is over, the speeches made and the last glass of champagne sipped, your guests need walk only a few metres to their accommodation in one of Noosa Springs’ comfortable, self-contained units. Or they might choose to spend the night in one of the luxury villas in the nearby Oasis precinct, where whole families, or groups of friends, can share the four-bedroom and five-bedroom homes, complete with lap pool, media room and lavish furnishings. Of course, there is ample free car parking for your guests. Should they wish, bridal parties can utilise Noosa Springs’ fabulous Relish restaurant for casual get-togethers with their families and friends before and after the wedding – either in air-conditioned comfort inside, or outside on the terrace overlooking the pristine course. Noosa Springs’ staff will take the worry out of planning your big day, and ensure everything goes just right – from the location of the ceremony, to the table setting, to the choice of wines. They will discuss a range of all-inclusive wedding packages; and even advise on the best photographers and celebrants in Noosa.